Bringing in the new year in understated style, adidas Originals welcomes two new women’s silhouettes to their roster this season. Dubbed the ‘Sleek’ and ‘Hypersleek’, the women’s exclusives merge elements from a selection of classic adidas Originals models from previous decades, blending archival features with modern detailing. 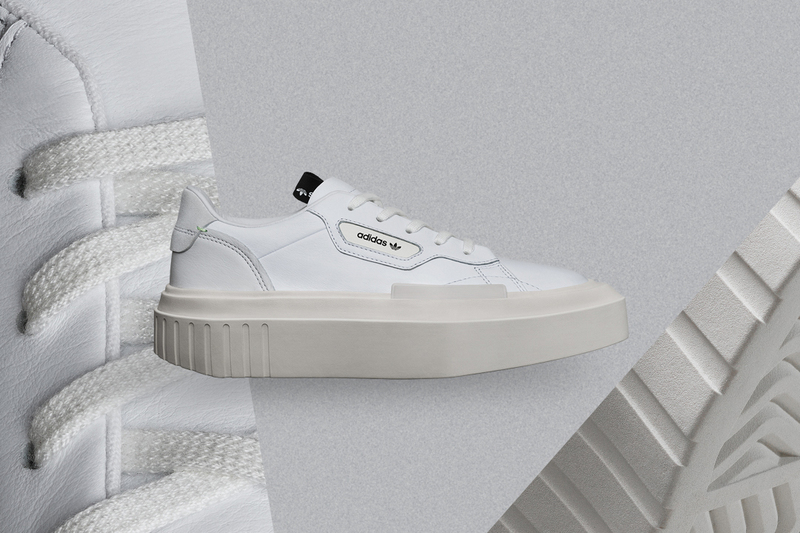 The Sleek arrives with minimal, all-white uppers crafted from premium leather and features a branding window similar to that of the Gazelle Indoor and Samba Super from years gone by. 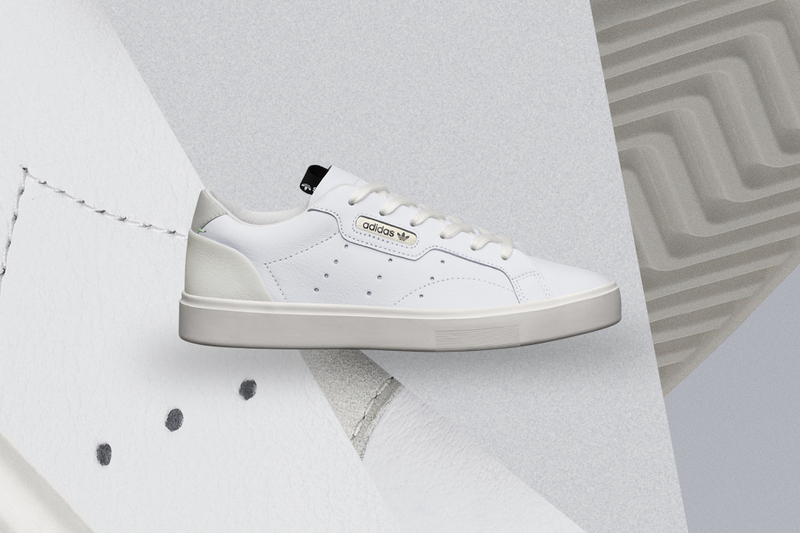 Also referencing the famed Stan Smith, the Sleek removes the side stripes and replaces them with perforated three-stripe detailing to the sidewalls. The low-profile pair is finished off with a herringbone traction outsole, similar to that seen on traditional models. The Hypersleek is more of a ‘modern reaction’ to its partner. ‘Plateau tooling’ pushes the Sleek into new territory by placing its minimal base on an extra-large platform sole unit. The angular platform tapers to a streamlined point at the toebox, made comfortable by the smooth leather that covers the upper. adidas Originals’ Sleek and Hypersleek will be available via size? previews and in size? stores on Saturday 19th January, priced at £70 and £100 respectively.